Manage multiple projects and tasks in one central location. You'll have the visibility you need to get the best performance from your team. Track customers, time spent on tasks, project expenses, and upload important Documents. Increase productivity, improve collaboration, and get projects done on time and under budget. Choose from hundreds of ready-to-use business apps. Track projects and tasks with this easy-to-use project management software, which is feature-filled and robust enough to handle the challenges of any business project. OUR MOST POPULAR PROJECT MANAGER VERSION - We have added resources and time cards to the robust ABC Project Manager 2 and have called it ABC Project Manager 3. This application combines four applications in one. It's time to connect with the right people at the right times. Track your company's ongoing relationships with other companies and contacts using this B2B-focused contact management app. 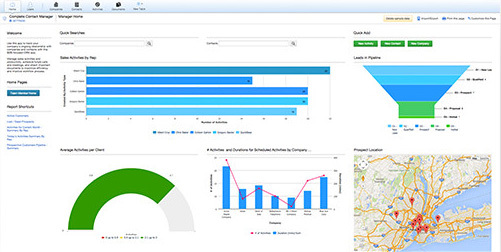 Do you want a solution that will allow you to see at a glance how your sales team is performing? The Complete Sales Manager App from QuickBase allows you to view the entire sales funnel from top to bottom and see the activities of each one of your sales representatives. I have created a Time Off Calendar so that you can record scheduled time away from the office, i. Gain real-time visibility into the performance of your employee training programs with this comprehensive training management app. ABC Customer Request Tracker keeps track of web requests without being a QuickBase user. Organize, prioritize and engage with customers on support requests to ensure accurate and timely responses with this robust customer support app. Track expenses for projects with this full-featured budget management app. This is a weight loss tracker in the vein of a popular reality television show. This application is designed to keep track of patients, their appointments, claims sent to the insurance company, and the services a provider will charge for on a regular visit. The Meeting Calendar is a fully interactive visual calendar plus scheduling tool. This is a simple one table application that helps schedule events that populate calendar reports. This tracks team members who will be out of the office.